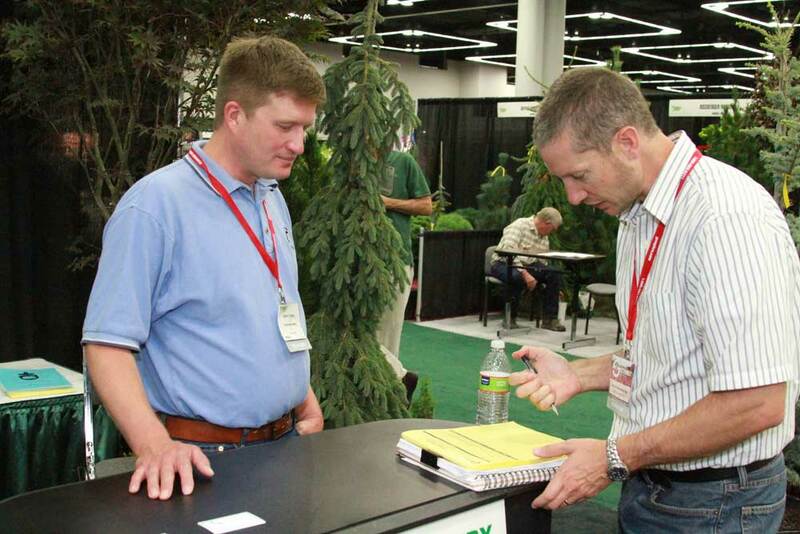 Organizers and exhibitors were very pleased with attendance levels at the 2013 Farwest Trade Show, held August 22-24 at the Oregon Convention Center in downtown Portland, Ore. The three-day event had 15 percent more people coming through the gate than in 2013. “I spent three days walking the aisles talking to exhibitors and attendees. The industry has turned an important corner,” said Jeff Stone, executive director of Oregon Association of Nurseries, the trade association responsible for producing the show. “All success indicators were up. Exhibitors were writing more orders on the show floor. Allison Cooper of Willamette Nurseries Inc. put it very succinctly. “We were seeing customers and we were taking orders,” she said. The Oregon Association of Nurseries is already planning for next year’s Farwest Trade Show scheduled for August, 21-23, 2014.